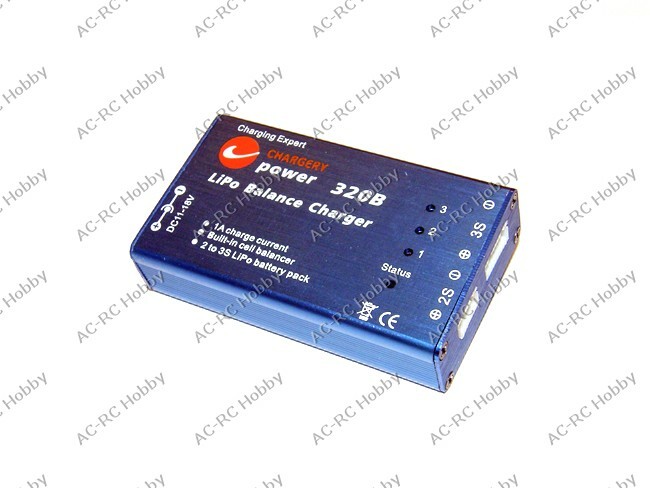 320B is a one of high performance Li-Po Li-ion balance charger. 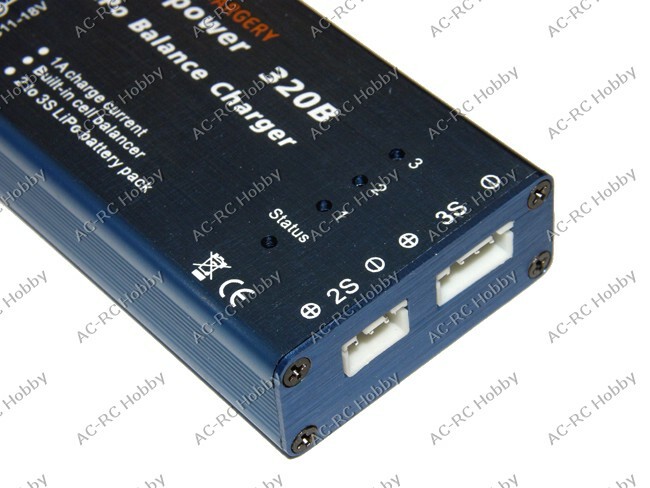 320B is micro-Processor controlled charger with cell-balancer, it has a microprocessor to set the charging parameters such as current etc. The built-in balancer automatically detect and balance each cell voltage of the 2 to 3 cells in series. It monitors the voltages of each cell during the charge process to equalize the peak voltage. 320B comes with a set of individual cell connectors to link with various type of Li-Poly and LiFe battery pack. High-quality aluminum case is durable and very efficient to cool out the internal heat. Connect to your auto battery or a 12 V power supply, The 320B charge your battery pack at 2 A current. The 320B has all kinds of protection for reversed polarit (input or output), low input voltage.